What are you doing to review reading comprehension skills in small groups, reading centers, or whole group review? 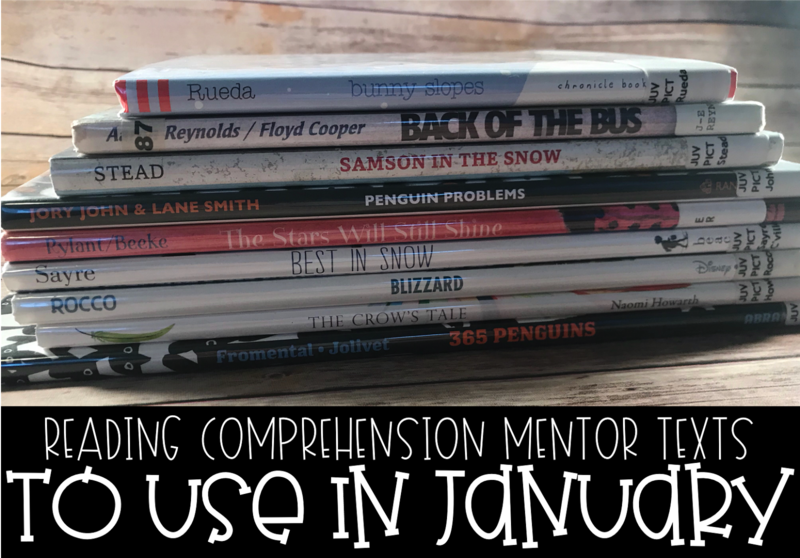 Are you using mentor texts? I love using the following picture books in January to teach or review various reading skills. 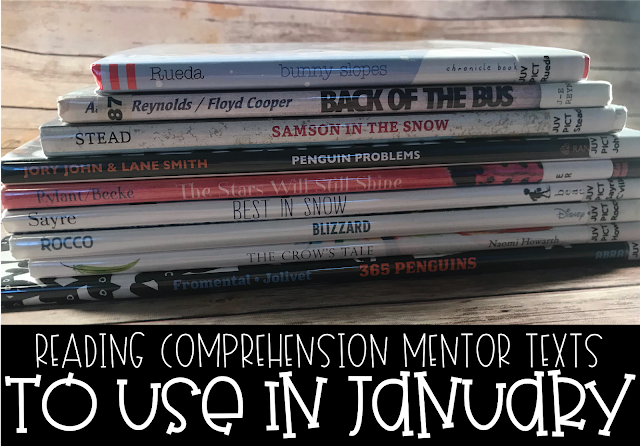 I found myself struggling to think outside the box with mini-lessons and wanted to find books that would fit into the feeling of the month and address critical reading comprehension skills. If you like any of the books you see in this blog post, you can click on the picture to find the affiliate link for the book on Amazon. I really love using this book when we return from winter break. It's a simple book that has a great inferred theme. 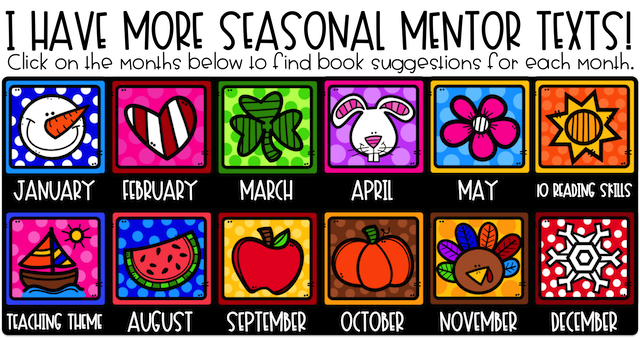 It tells of many things that continue despite the new year. The stars still shine. The church bells still chime. There will be goodness and grace. It's a great way to wake up those winter break brains! With Martin Luther King Jr.'s birthday falling in January, it is the perfect time to read Back of the Bus. It is a book that I love to read each year as a close reading. We spend a day or so really picking apart this story as we read through it two times. I have attached the questions that I use during my first and second readings. You can download them here. I use a small Sharpie or pen to number the pages of my book. If you utilize my questions, you'll need to begin numbering your pages with ONE on the page that says, "Winter's here in Montgomery,". This book is truly just for fun! I am sure you could get creative and work on a comprehension skill of some sort, but I think it's just fun to read. Depending on your location, you decide when this would be most appropriate to read. Right before or after a snow day(s) would be perfect. This book is perfect for using as a mentor text for students writing their own narrative, teaching story elements, or reviewing making connections. This story has amazing pictures and tells the story of a boy who helps his family and neighbors by making a trip to the grocery store during a blizzard. I love to have my students read paired passages, and these two pair perfectly. The main characters have similar environments and problems but very different attitudes. Samson focuses on saving and helping others during a snowstorm, where the penguin complains about everything around him and focuses on himself. It is a great way to get your students comparing and contrasting. Although the intention of this post was reading comprehension, I couldn't resist sharing this book as well. This book is full of short, simple sentences. Many of the sentences contain two words; a noun and a verb. Even with my fifth graders, they would often struggle to vary their sentence length in their writing. I like to give them a book with very simple sentences to see the impact that it has on the reader, the tone, and the mood of the book. There are also sentence fragments that are used perfectly. It really helped my students distinguish between a sentence fragment, such as a breeze, and a complete sentence, like snow drifts. I'll be honest, I avoided this book when I saw it on the shelf at the library because I didn't think it fit the theme of the post. Once I gave it a shot, I really liked it! This book is perfect for teaching theme, and the theme is very clearly stated at the end of the book. I love using it with lower level students and having them look for evidence in the text to support the theme given. Finding a secondary theme is a great challenge as well. This book is so silly, but it is always really fun to read. You could definitely use this book for reviewing sequence or cause and effect. This silly story is about a family who receives a new penguin delivered to their house each and every day for a year. At first, it is fun, but what do you do with 365 penguins?! If you are interested in the graphic organizers that I used in the pictures for Mentor Texts, you can find them here or click the image above. 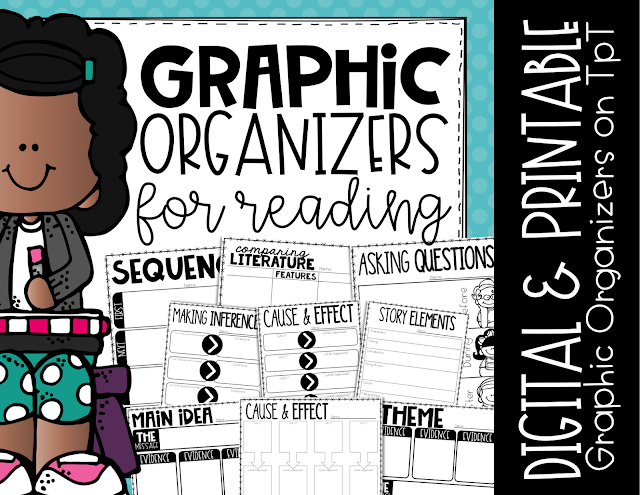 Included in the file, you find both digital and printable versions of each graphic organizer. Where can I find the “Making Connections” sheet for the Blizzard book? Whew can I find the graphic organizers as seen in these pictures? Are they in your TPT store? The convergence of data and voice networks in the business environment takes on a new twist with the emergence of wireless networking. Visit Text My Main Number to know more about the process and services they are providing.